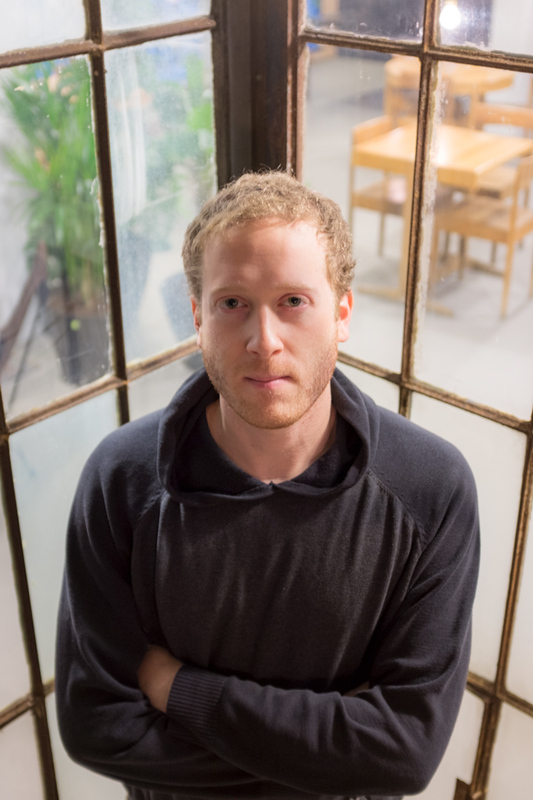 My name is Jeremy Blum and I’m the founder here at New World. Back in June of last year I wrote about the state of our games, starting what I hope will become a tradition here. We find it important that our audience understands our goals as a team, and how they impact the decisions we make. What started as a small 12 person indie team developing Insurgency has grown into a 36 person team developing multiple projects, and we still remain financially independent developing our own IPs. Getting to this point has not been an easy road. Even over the past eight months we have learned a lot. We would like to give you all a glimpse behind the scenes, and share some insights about the future of our games. One of the intentions we’ve always had with Insurgency was to take it further and bring it to console. It was clear to us that Source Engine would never support next-gen console platforms such as PlayStation 4 or Xbox One, and that an engine switch would be necessary for this. With Valve moving on to Source 2, it was also clear to us that Source Engine would not improve technologically, and in order to provide our players with a technological upgrade we would have to look elsewhere. When we decided to make a sequel for Insurgency on Unreal Engine 4, despite it being consistent with our vision for the game since the beginning, it became immediately clear that it was inconsistent with another vision of ours: continued post-release development of Insurgency. We had established a precedent by being committed to our game for a long time after release, delivering numerous major content updates over a span of two years. We had a long list of things we still wanted to add and improve even at the end of this period, some of which we had shared with our community. After announcing the Insurgency sequel, we recognized we were stuck between Insurgency on Source and the reality of having a sequel on the way. On one hand, our community was still expecting things from us for Insurgency on Source. On the other hand, continued post-release development didn’t make a whole lot of sense when we wanted to give our players good reasons to play the sequel. In hindsight, it would have made a lot of sense to make a more calculated decision about what our approach would be a year ago when we started development on Insurgency: Sandstorm. We could have stalled development on Sandstorm and focused on fulfilling our final objectives for the Source version, or gone full force into the sequel’s development and openly discontinue development of Insurgency for Source. Instead, we tried something else, which we thought was the right move at the time. We decided that we would try to accomplish both. We would work toward fulfilling our commitments to the Insurgency community, and also dive into the sequel. Looking back, the approach we decided to take at this critical moment was a mistake. Insurgency has been successful in many ways. The game has established a niche in a crowded FPS genre, selling over 3 million units and achieving thousands of concurrent players at any time. We are incredibly proud of what we’ve accomplished. However, we see this miscue as a failure on our part, one we hope to learn from going forward. In the interest of not making the same mistake twice, we have decided that from this point forward we will officially discontinue the development of new features/content for Insurgency on Source Engine. From this point forward, we will continue to fix bugs and exploits that arise, but we will not commit to any further changes or additions to Insurgency on Source Engine. The competitive systems and some of the other plans we have pursued for Insurgency will instead be incorporated into the design of Insurgency: Sandstorm. In addition to a fresh new environment with diverse new characters, weapons and factions, Insurgency: Sandstorm will continue the multiplayer and cooperative experience of its predecessor. We aim to push the franchise in a new direction with an exciting new story mode. We are designing it for cooperative play with friends, both split-screen and online. We’ve gone through a few story iterations and have finally settled on a compelling experience that we’re excited about. Not only will it capture Insurgency’s strengths with regards to gameplay, but we also hope to move people with a unique story with interesting new perspectives. We’re excited to share more with you when we are a little further along. 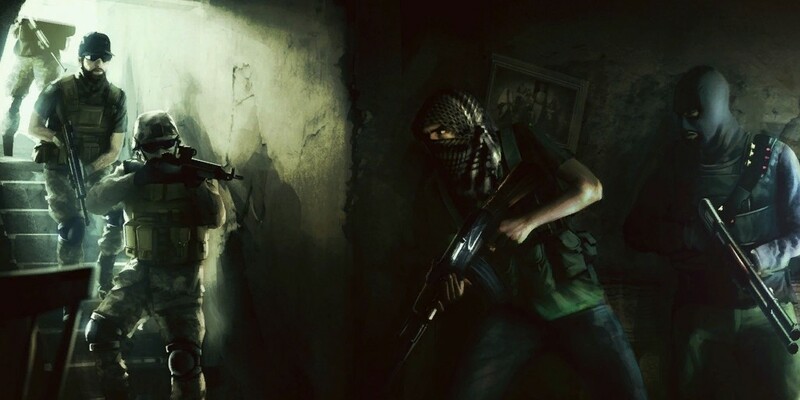 The process of bringing Insurgency to a new engine, designing the game from the ground up, and developing a story has been a great challenge for us. We have learned a ton about new aspects of game development which interest us, and which we’re excited to put into our work going forward. While we don’t have any news on a release date, we are making great progress and there should be a press release emerging very soon with more information and a few new pieces of media. Pursuing Day of Infamy as a project was always a no-brainer for us. Even as I was assembling the team that would go on to develop the Red Orchestra mod for Unreal Tournament 2003, what the Day of Defeat mod for Half-Life had established was a major influence. This influence later extended over to the Insurgency mod for Half-Life 2, and later the commercial version of Insurgency. As you can see, Day of Defeat had a big influence on our team as developers especially when we were first starting out. And now we get to ask ourselves: If the original Day of Defeat mod had gone more in Insurgency’s direction, with its core movement and weapon mechanics, what would that experience be like? What happens when you take the gritty, close quarters, immersive WWII experience of the earlier Day of Defeat experience and push the intensity a bit further to the likes of Insurgency? Our team is well versed in this type of gameplay. To us, this design challenge was exciting, since it also felt nostalgic in so many ways. In the process, we have captured a classic WWII game feeling which spans even beyond Day of Defeat. We’ve received a lot of feedback where players reminisce how the game brings them back to their days playing Medal of Honor: Allied Assault or the original Call of Duty. We are finding some success in bringing back an experience lost over the past decade, and re-energizing it with our unique twist of visceral intensity and minimalism. Our early access mentality from Insurgency has carried over into Day of Infamy. We’ve utilized early access to balance the game around analytics, improve it based on community surveys and feedback, and also to continue finding ways to innovate the genre as much as possible before the game is introduced to a larger audience. While we could stay in perpetual early access and constantly improve the game before it is “final”, we find this approach doesn’t make a whole lot of business sense. 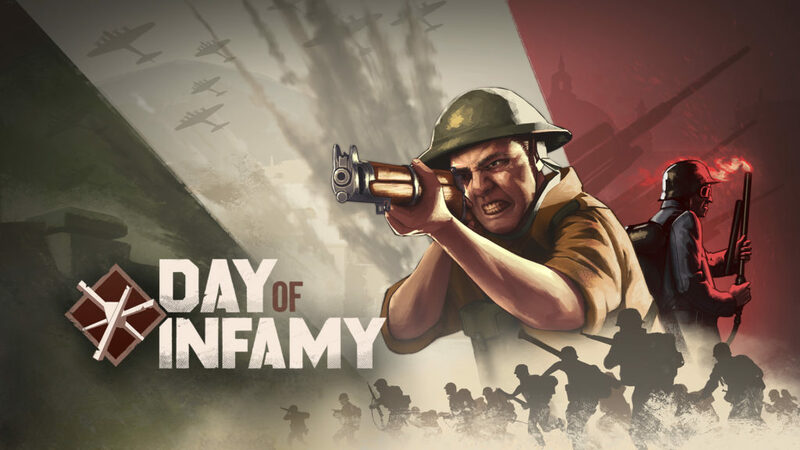 Similar to Insurgency, we plan to develop content for Day of Infamy after release, so the whole “final release” mentality doesn’t really apply. In addition, we aim to use the visibility of a “launch” to boost player counts for the game which would help us financially so we can continue our development efforts and also support our new Unreal Engine 4 platform which will become the basis of our FPS creations going forward. Considering the feedback we have received in the form of surveys and reviews on Steam, we feel like we are not far away from reaching the point that Day of Infamy will be well received. According to our August community survey 32% of players were happy with the game as it was, 53% saw the game benefiting from some improvement, and only 13% saw the game as needing a lot of work. Less than 1% claimed the gameplay was not enjoyable (0.74% to be exact). It was clear to us at the time of this first survey that the game had a strong core experience, but lacked extended replay value. Since then we’ve added new maps, new weapons, as well as a ranking system, additional fire support features, a new game mode and much more. We feel the game is finally nearing the point where it has the extended replay value it requires to sustain a large player base. We are very proud of what we’ve done since the early access launch just over six months ago, and we acknowledge there is still some more polish needed before release. We are hard at work improving level balance across the board, improving the visual quality of our environments, finalizing the user interfaces, working on new Units and voice over, fixing bugs and issues, improving stability and performance, improving Mac as well as Linux support, and a lot more. As we fast-track towards a release, we are focused on finalizing the game and building excitement around it. We will continue to collect data, read feedback and conduct market research to come up with the best release strategy possible. We hope that our audience will help spread the word, and 2017 will be an exciting year for Day of Infamy! While our audience naturally cares most about the experiences we create, there is a lot that goes on behind the scenes getting there. Our team is committed to quality, and reaching this is never a simple or straightforward task. There are team dynamics, company culture decisions, communication procedures, strategy considerations and countless administrative challenges that game companies face. We’re navigating these aspects of our growing studio and building our vision of a world-class, independent video game company. We want to earn the respect of our audience and be seen as a desirable studio to work with. One aspect we’ve been working on improving lately is our team structure. This has been an ever-evolving thing for us. Ultimately, we want each of our developers to have a lot of freedom to work on the aspects of games which excite them the most. Additionally we want to make sure each developer obtains the feedback needed to push the quality of their work, and has the opportunity to be a part of the creative process at our company. We want to minimize bureaucracy but have clear processes in place for everything, and ensure fluid, clear communication throughout our team. We’ve found all of the above to be critical to the happiness of our team and the innovation of our games. These goals embody our culture and DNA as a team. As straightforward as they are, arriving at them is no easy task. Every so often we ask ourselves if we are doing a good job creating the work environment we want for our team, and if necessary we make adjustments in order to get things on track. Occasionally we make a change that feels good at the time but ends up being regrettable, and it’s better to reverse these changes than to let them stick. Similar to our games, our team structure is a work in progress dynamic we are always iterating on and trying to improve. When we decided to start the studio in Amsterdam a year ago, we knew it would make our games better and push the capabilities of our team. We wanted motion capture, for example, and a sound recording studio for voice acting and audio production. We are now building a higher tier game at a higher price point with Insurgency: Sandstorm. We’ve had to expand our capabilities as a company in order to accomplish this. While the studio boosted our production immensely, it also presented us with an unforeseen issue. The daily interactions between the onsite team naturally created a sense of a ‘core’ team that did not exist prior. It was a dynamic we never intended, and one that we are working to reverse. In addressing this issue, we’ve acknowledged the value that onsite developers bring. Instead of reversing the decision to have a physical studio, and going back to working from home, we feel it makes more sense to expand our physical locations and establish more onsite presence. We feel that having multiple boutique studios around the world is very much in line with our team’s culture and long-term vision. As we move toward accomplishing this goal, we will form a studio in Denver, Colorado next year. We will slowly grow this team to become the same size as our Amsterdam studio. When our European developers leave the office in the evening, our American developers will just be getting started. We will get a whole lot accomplished each day, similar to how we’ve always operated as an international team. In addition to the structural changes we’ve undergone recently, and the operational plans we have for the future, we have started the process of expanding our capability in the area of communications. Communications includes public relations, branding, marketing, community engagement, blog posts, video content, screenshots, etc. It’s essentially how we interface with the public – an area where we have been admittedly weak in the past and we acknowledge as being critical to our future. In recognizing the above, we have established a communications team at our company and have hired two additional staff to expand on our abilities in this area. We want to do a better job getting the word out about why people should play our games, especially as we near Day of Infamy’s launch, and have some big Insurgency: Sandstorm reveals coming your way this year. I am personally excited about New World, our games and our community. I think the next year will be pretty exciting for all of you, our fans, as well. As always thank you for your support and the great feedback that helps us make better games.